This category is unique so perhaps requires a bit of explanation. The category of science-fiction is much too wide, so I had to narrow it down a bit, by separating movies which involve otherworldly elements or aliens or other races, in a separate category. This post will seek to explore on the movies which is mostly set on Earth and involves mainly on humans, with the involvement of science-fiction elements. No clear and accurate distinction is to be made, but is more based on feeling of similar elements of the films. I hope you don't get too confused with the distinction I try to make, but I believe things will be clearer as you read the next post which will be on the other side of the genre. But as seen in the movies listed on the nominees, it should be relatively clear that this is about films which are mainly on humans or based on human elements and human actions. Other films like this include G.I. Joe: Retaliation, which did not make the cut due to its unintelligent plot, focusing too much on fun and action. 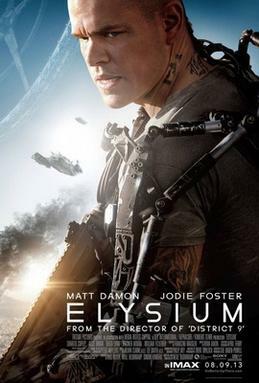 Elysium is decent in its plot, but is great with the mix of drama and action, along with its loose depiction of some of the world's political and social issues. 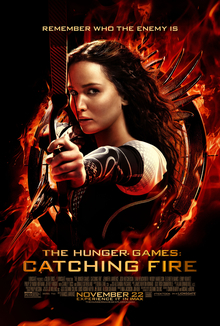 Catching Fire is a great sequel to an already great film, while keeping us wanting for more even after the end of the film. 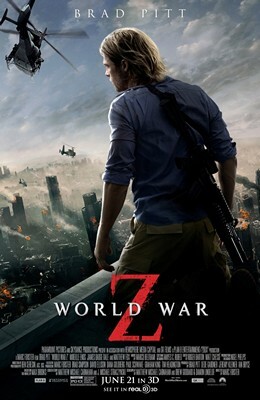 World War Z is amazing for its balanced mix of action, humour, drama, and even some horror elements. It's accurate portrayal of character reactions is also of positive note. This one is not an obvious one, as I am highly compelled to consider the other two nominees well. However, CF manages to overcome the others due to its excellent cast and strong characters, and a great plot that drives audiences to root and wonder for the characters. It feels like an improvement over its predecessor, which is already a great movie on its own.